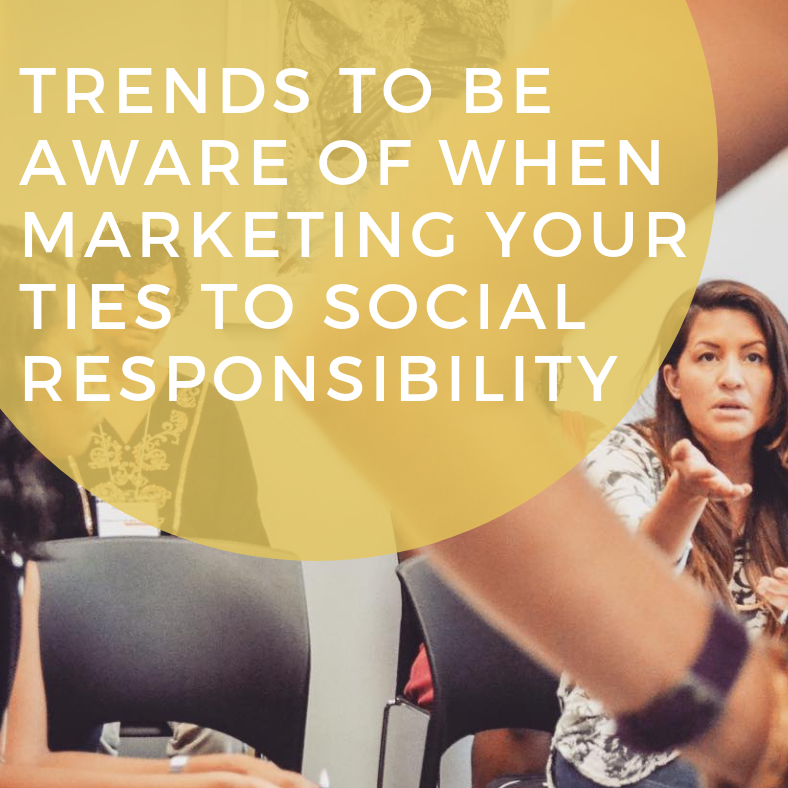 Trends to Be Aware of When Marketing Your Ties to Social Responsibility - The Idea Inc.
Corporate Social Responsibility or CSR is defined as “a self-regulating business model that helps a company be socially accountable — to itself, its stakeholders, and the public. By practicing corporate social responsibility, also called corporate citizenship, companies can be conscious of the kind of impact they are having on all aspects of society including economic, social, and environmental. To engage in CSR means that, in the normal course of business, a company is operating in ways that enhance society and the environment, instead of contributing negatively to it” (Investopedia). Consumers are no longer content with companies that are doing well. Consumers are no longer content with companies that say they are doing good. Consumers want to see the proof. So, how do you show it? Put your money where your mouth is: “Companies like Patagonia, TOMS, Chobani, and even our small business, Oliver Russell, are now making impact investments outside their core businesses by taking equity stakes in startups that aim to deliver social, environmental, and financial returns on invested capital. These investments align with the companies’ social and environmental charters. They also are smart business moves that extend the reach of their brands, incubate new ideas and collaborations, and diversify business risk beyond their core industries and product lines” (Conscious Company Media). Increase employee engagement: Did you also just roll your eyes? The term employee engagement has been thrown around for what seems like forever. “At the core, employee engagement is a holistic approach taking into account various elements of the employee’s relationship to the company including; achievement, well-being, connection, and appreciation. In order for the employee to feel positively connected to their employer, they must feel their employer is taking actions to engage them in each of these areas. By incorporating workplace giving, especially personalizing the giving experience for the employee, the link between connection and appreciation from the employee will likely increase” (For Momentum). For more, see Lego below. Expanding the diversity conversation: “As the population and workforce continue to grow more diverse, companies will need to focus on creating company cultures, experiences and products that speak to a wide range of identities and perspectives. “The diversity conversation has to become broader — it seems to be more and more focused on gender. It’s got to be about more than women,” said Cecily Joseph, vice president of Symantec. Symantec defines inclusion as “creating a workforce that embraces every culture, language, age, sexual orientation, disability, background and experience – and giving a voice to those differences”” (Forbes). Sustainable Development Goals: “As part of the 2030 Agenda for Sustainable Development, more than 150 world leaders came together to adopt a set of 17 goals to end poverty, protect the planet, and ensure prosperity for all. Though these goals were communicated back in September 2015, corporations are just starting to incorporate these goals into their overall business plans. In fact, 38% of Fortune 50 Companies now publicly support the Sustainable Development Goals with over a third of companies looking at SDGs not as philanthropy, but as business strategy. These stats were recently shared at the 2017 Commit!Forum. We can expect more Fortune 1000 companies to follow their suit(s)” (For Momentum). Our social responsibility goal is to be on this list for 2019. What’s yours?